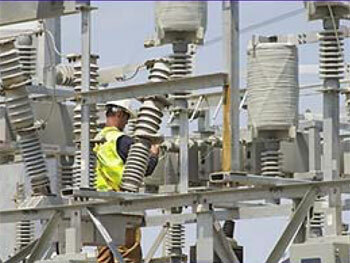 Contractors: Rosendin Electric, Inc., direct contract with the Owner for the collection system. About the Client: A subsidiary of Scottish Power, PPM Energy has more than 1,700 megawatts of wind energy in operation or under construction. 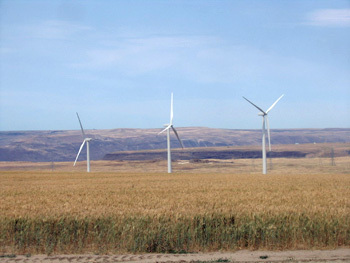 Major customers include the cities of Seattle, Sacramento, Pasadena, and Anaheim as well as investor-owned utilities such as PG&E and the federal Bonneville Power Administration. 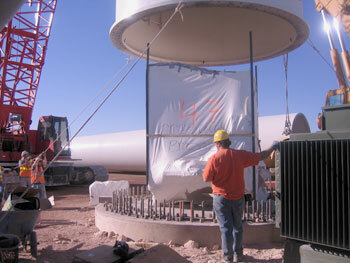 Project Description: Located near Arlington, Oregon, the Leaning Juniper Wind Project includes 67 GE 1.5 megawatt turbines. 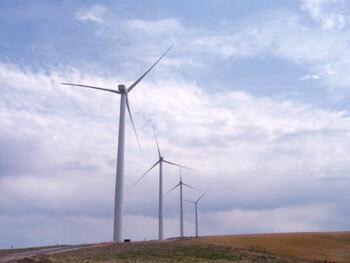 The project spans more than 5,000 acres of buffer lands adjacent to the Arlington landfill, operated by Waste Management, Inc., however, the actual footprint of the turbines and associated facilities uses less than two percent of the total acreage. Landowners will continue using the remaining land for wheat farming and grazing. Nova Partners’ Role: Nova provided the Electrical construction Quality Assurance Plan (EcQAP) to Rosendin Electric, which, on this project, was contracted directly to the owner for the construction of the collection system. Although most of the cabling was underground, portions of the system had to be routed overhead, spanning some deep ravines. Nova developed quality control for these unique aspects in order to help protect wildlife in the project area.